A few years back I organized my business as an LLC and one task is the annual renewal payment of $100.00, so I decided to venture online and make my payment at www.FilingInOregon.com/renew. Sure, it took more time than opening up my checkbook, filling it out, sealing the envelope, and placing in the mailbox. I didn’t expect the Oregon online form to ask so many questions, but I forged ahead, at least until the payment screen came up and I filled out my Visa credit card information and clicked Submit. Then I waited and waited, until after 30 seconds the page timed out. So now I’m stuck in no-man’s land, where I’m pretty sure that they didn’t receive the $100.00 credit card payment, but they won’t let me even try again. 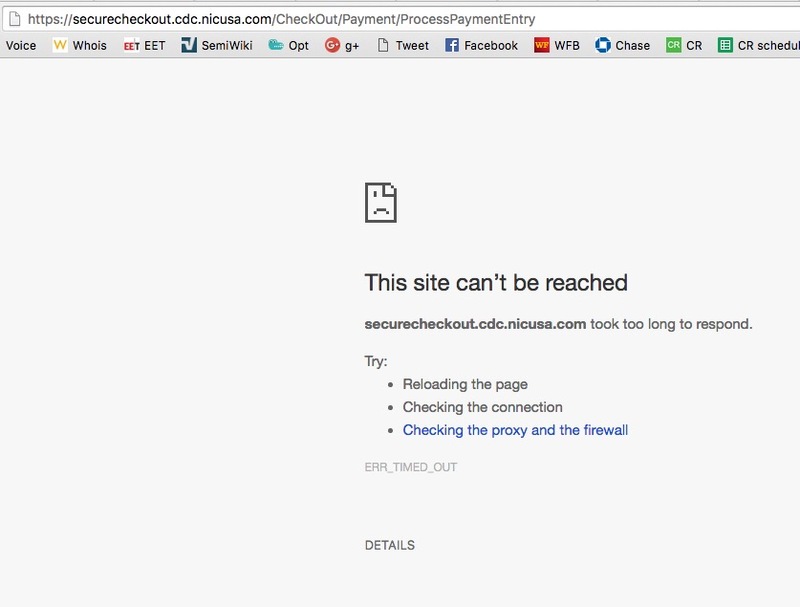 This is a classic Catch-22 scenario, which is another reason that I cringe when the Oregon Secretary of State web site cannot process a simple renewal payment. Had I coded such a poor web site I wouldn’t even be paid, I’d probably be sued for breach of contract or something like it. I’ll let you know if this story has a happy ending, but be assured that I’m frowning big time right now, wondering why the folks working for the state of Oregon cannot put together an online system that works, saves me time, and saves the state time.